Movies of the Month, shown daily except Tuesdays, Vintage Valentine's Day Short & Monkey's Go Home!The Walt Disney Family Museum. Presidio Shuttle Tour, 12pm, Presidio. Afterschool LEGO Club, 3-4:30pm, Civic Center Library. LEGO Club, 3-4:30pm, Novato Library. Afterschool LEGO Club, 4-5:30pm, Fairfax Library. Reaching Out With Robotics, 2-5pm, Belvedere Tiburon Library. "Screenagers", 7pm, This documentary examines some of the biggest current parenting issues: the impact of phones, video games, and screen time on kids. The film explores the issues and offers solutions on how we can help kids find balance. Edna Maguire, 80 Lomita Dr, in Mill Valley. Board Game & Pizza Night, 6-8pm, Belvedere Tiburon Library. Kronos Festival 2017: Here and Now, SFJAZZ, San Francisco. Marin Theatre Company Presents Hare & Tortoise, 3:30-4:30pm, Point Reyes Library. Hands On Tam Winter Workday, 8:30am-1pm, RSVP preferred but drop-in's welcome. Valentines Mailbox, 9am-12pm, Home Depot, San Rafael. Kronos Festival 2017: Family Concert "Around the World with Kronos", SFJAZZ, San Francisco. Summer Camp Fair, 9:30a,-12pm, free, meet over 60 camps for preK-12th grade, French American International School, San Francisco. Girls Who Code Club, 10am-12pm, Belvedere Tiburon Library. Teddy Bear Tea Party, 10:30-11:30am, RSVP required, (415)258-4656 or email ahayley@townofsananselmo.org, San Anselmo Library. Pippi Longstocking, 10:30am & 1:30pm, ages 5+, live on stage, Freight & Salvage, Berkeley. Healthy Parks, Healthy People, 2-4pm, Presidio, San Francisco. Winter Nights Dance Parties, 7pm, a tribute to the rhythms of Punjab with dance, music and songs of the village women, Osher Marin JCC, San Rafael. Green Gulch Farm Sunday Children’s Program, 10am, After a short talk, the children leave the zendo to participate in their own special programs. Activities include crafts, seasonal projects on the farm and garden, yoga, and ritual. Book reading of Puppy Mind by author Andrew Jordan Nance. Please check in before the program at the table near the southwest side entrance of the zendo. Sunday Special: MTC presents Hare & Tortoise, 11am-12pm, Mill Valley Library. The Bubble Lady, 11am-12pm, East Bay Theater, Berkeley. Kids' Pajama Party with Sandra V. Feder, 6-6:30pm, diesel, A Bookstore, Larkspur. Montessori de Terra Linda Annie Jr., The Musical, 7pm, Showcase Theatre, San Rafael. Meet Stephanie Garber, 6pm, author of "Carnaval" sweeping tale of the unbreakable bond between two sisters that's destined to become a sensation, Book Passage, Corte Madera. Afterschool LEGO Club, 3-4:30pm, Corte Madera Library. Let's Make Chocolate Candy in an Origami Box, 7-8pm, Stinson Beach Library. Crazy Science Club, 4-5pm, Fairfax Library. Make your own Valentine's Cards with artist Kristen McCormack, 2:30-4:30pm, Sausalito Library. Read to a Therapy Dog, 3-4pm, Belvedere Tiburon Library. Kiddo Crafternoons: Jolly Jellyfish! 3-3:45pm, K-2 grade, San Anselmo Library. Valentine's Day Craft, 4pm, Belvedere Tiburon Library. Sock Hop, 7-10pm, Corte Madera Community Center. Shaolin Warriors: The Legend Continues, 8pm, Marin Civic Center, San Rafael. Full Moon Hike, 5-6:30pm, Point Bonita, Sausalito. Valentine's Teddy Bear Tea, 9:30am-3pm, Piping hot cocoa, savory eats and festive treats greet little guests at their beautifully decorated tables. Children will get to stuff their own adorable teddy bear and festive stories read by the children’s librarian, Alicia Bell, complete the day, Belvedere Tiburon Library. Giants FanFest 2017, 10am, AT&T Park, San Francisco. Chinatown Community Street Fair, 10am-4:30pm, San Francisco. Junior Chef Class, 10am, ages 8–13, American Girl™: Valentine's Day Crepe Party, Williams-Sonoma, The Village at Corte Madera. First Act Workshops, 10:30-11:30am, ages 3-5, discover the fantasy opera The Little Prince in this workshop by exploring music, rhythm, visual arts and movement designed to foster social-emotional development, increased language and fine-gross motor skills, Bryan Education Studio, San Francisco. Pop-up Valentines Workshop with Artist Kathy Piscioneri, 1pm, grade 2+, Corte Madera Library. Repujado Workshop, 1-2:30pm, grade 3+, San Rafael Library. CarTUNE Afternoon, 2-3:15pm & 4-5:15pm, Grab some popcorn and join San Francisco Opera Education for a FREE afternoon of classic cartoons filled with classical music, Taube Atrium Theater, San Francisco. Aladdin And His Wonderful, Magical Lamp, 1pm, Palace of Fine Arts Theatre, San Francisco. Chinese New Year Celebration and Banquet, 5pm, Usher in the Rooster with a massive banquet—everything from jai and prawns to suckling pig and red bean soup. Great performances include the Chinese Dance School of San Francisco, a martial arts demonstration, traditional guzheng, and, of course, our amazing Lion Dancers, #MCCACNY San Rafael Community Center. Chinese New Year Festival & Parade, 6-8pm, Chinatown, San Francisco. Chinatown Community Street Fair, 9am-5pm, San Francisco. Exploring Indian Valley, 10am-1pm, look for frogs, toads, and salamanders, in addition to other winter-active animals, College of Marin, Indian Valley Campus, Novato. Preschool Super Fun Sundays: Happy Birthday Trees with Hullabaloo, 11am-3pm, art, music, story time and more, Contemporary Jewish Museum, San Francisco. Alice in Wonderland Tea Party, 2-4pm, Make a Sunday afternoon date for tea with Alice, the March Hare, Door Mouse and Mad Hatter at a decidedly unique tea party complete with delicious tea sandwiches, a selection of organic teas, hot chocolate for kids and yummy desserts for all, Contact Maria Baird at 415-456-5652 ormbaird@townoffairfax.org, Fairfax Recreation. Cupid's Workshop, 3-4:30pm, ages 5+, San Anselmo Library. Presidio Stargazing Party, 7pm, Presidio, San Francisco. How to Lead Nature Journaling Activities for Teachers and Group Leaders, 10-11:30am, explore the pedagogy and logistics of leading nature journaling activities and bringing students outdoors, Richardson Bay Audubon Center & Sanctuary, Tiburon. The Myth-Adventures of Melanie Moe!, 4pm, Adventure Theater is a fast-paced, interactive, outrageously funny, theatrical experience for heroes of all ages! Belvedere Tiburon Library. 35 Famous Speeches in 35 Famous Places, 6-7pm, San Francisco Shakespeare Festival will perform 35 of Shakespeare’s most famous speeches in 35 of San Francisco’s most famous places from February to August 2017. Presidio Officers Club, San Francisco. Learn How to Pier Fish, 10am-12pm, Paradise Park, Tiburon. The Lizard Lady, 10:15-10:45am, 11:15-11:45am, & 1:15-1:45pm, Meet the Lizard Lady and her menagerie of scaled friends during this 30-minute presentation of real reptiles from tropical rainforests from around the world, Bay Area Discovery Museum, Sausalito. Pippi Longstocking, 10:30am & 1:30pm, ages 5+, live on stage, San Ramon. 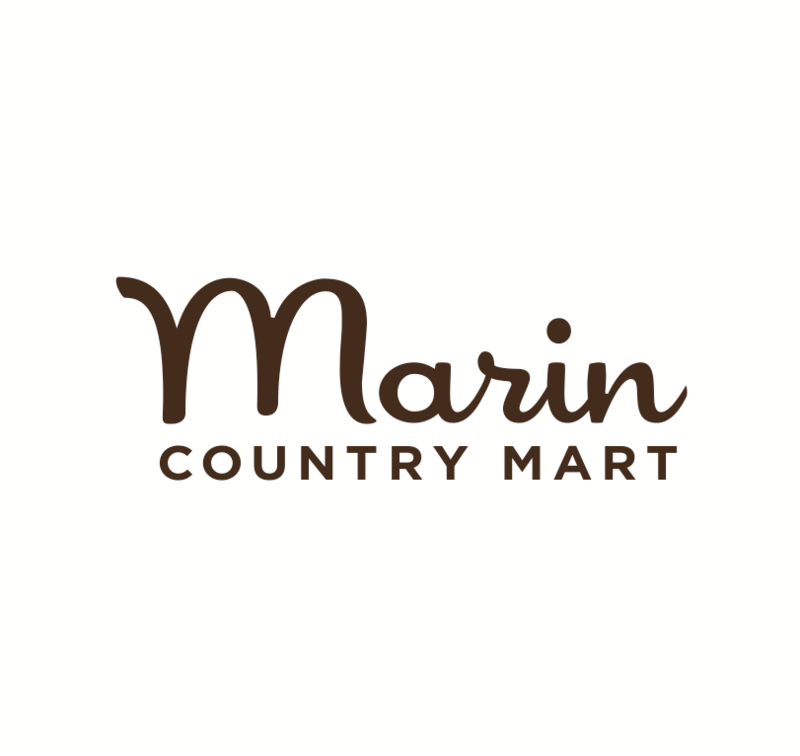 Chinese New Year, 9am-4pm, lion dancers, observe professional calligraphers, sample delicious Chinese food and more all made possible through our partnership with Marin Chinese Cultural Association. Bay Area Discovery Museum, Sausalito. Nature for Kids: Deer Island, 10am – 1pm, mix of forest and grassland on this little ridge make it a great place to see a variety of cold season critters, Meet at the gate on Deer Island Ln in Novato. February Break Movie: Storks, 2:30-4pm, Mill Valley Library. Built-It Club, 4-4:45pm, San Anselmo Library. Game Day!, 2:30-4pm, Mill Valley Library. February Break Movie: Big Hero Six, 2:30-4pm, Mill Valley Library. Mount Burdell's Geomorphology and Historic Quarries, 10am – 2:30pm, ages 7+, ranger-led hike as we explore how and why Mount Burdell came to look the way it does today, Meet at the end of Butterfield in Novato. Spring Birds Family Farm Day, 10am-2pm, guided hikes and activities your family will enjoy this rich coastal ecosystem while learning about and interacting with their feathered friends, milking the goats, meeting friendly farm animals, exploring the organic garden and more, Slide Ranch. Marincello Walk, 10am-12pm, Tennessee Valley, Marin Headlands. Pippi Longstocking, 10:30am & 1:30pm, ages 5+, live on stage, San Francisco. SFJAZZ Family Matinee, 11am, Marcus Shelby, SFJAZZ, San Francisco. World Sword Swallower's Day, free, 1:30pm, Ripley’s Believe It or Not, San Francisco. Lake Fishing for Kids, 9 – 11am, rangers will cast out with the kids at Stafford Lake Park to try to reel in the biggest fish in the lake, Stafford Lake Park, Novato. Bob Kann, 11am-12pm, magician, juggler, and tongue-twister, Mill Valley Community Center. Josh McIntosh & Rattlesnakes in the Garden, Americana / Roots music from the JCC’s favorite song leader & his band. Enjoy the stories, the songs, and sing along with your favorites! Kanbar Center for the Performing Arts, San Rafael. Carnaval San Francisco 2017 Season Kick-Off: Fat Tuesday, 6-9pm, live samba drummers and dancers winding their way through the party, salsa, soca, cumbia, rumba so don’t miss out on the fun! Wear your costumes, masks & beads and join us in celebrating Fat Tuesday in true Carnaval San Francisco style! Mardi Gras Parade, 5pm, starts at Patricia’s Green in Hayes Valley, Brick and Mortar Music Hall, San Francisco.